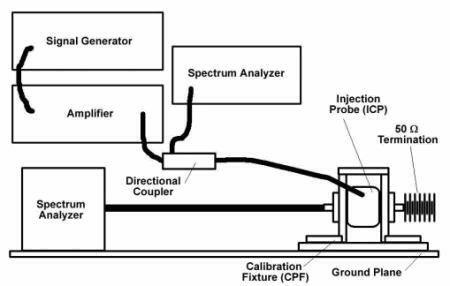 Bulk current injection (BCI) testing is a conducted susceptibility procedure that uses an injection current probe similar to ones used for military conducted emissions (CE) testing. BCI testing is used to confirm that RF signals will not cause degradation of performance or deviation from specifications when coupled onto interconnecting cables and/or power supply lines. Download this white paper for an example of BCI testing which covers all steps including gathering the required equipment, pre-calibration procedures, injection testing procedures, and safety precautions.